Quantitative models are crucial to almost every area of ecosystem science. They provide a logical structure that guides and informs empirical observations of ecosystem processes. They play a particularly crucial role in synthesizing and integrating our understanding of the immense diversity of ecosystem structure and function. Increasingly, models are being called on to predict the effects of human actions on natural ecosystems. Despite the widespread use of models, there exists intense debate within the field over a wide range of practical and philosophical issues pertaining to quantitative modeling. This book - which grew out of a gathering of leading experts at the ninth Cary Conference - explores those issues. 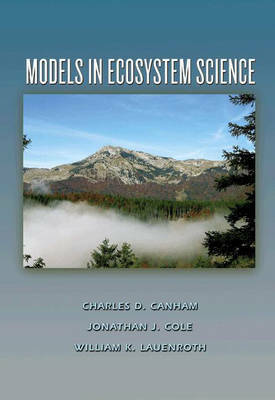 The book opens with an overview of the status and role of modeling in ecosystem science, including perspectives on the long-running debate over the appropriate level of complexity in models. This is followed by eight chapters that address the critical issue of evaluating ecosystem models, including methods of addressing uncertainty. Next come several case studies of the role of models in environmental policy and management. A section on the future of modeling in ecosystem science focuses on increasing the use of modeling in undergraduate education and the modeling skills of professionals within the field. The benefits and limitations of predictive (versus observational) models are also considered in detail. Written by stellar contributors, this book grants access to the state of the art and science of ecosystem modeling.